The Romero Firm can help you and your family navigate through the complex immigration process, guiding your path toward the final goal of living in the United States lawfully. The Firm also provides other legal services. The Romero Firm was established in 2009, opening its first office in Newark, New Jersey. Attorney Romero’s goal was to help others through the immigration process and ultimately obtain citizenship. Throughout the years, The Romero Firm has helped thousands of people with their legal issues, specializing in immigration cases as well family, criminal amongst other fields of law. As the firm expands throughout the country, our team continues to help individuals reach a legal resolution in a professional, honest and efficient manner. With the main goal of helping people in need, our team treats each of its clients as members of a family that continues to grow. Anibal Romero was born in Jersey City, New Jersey, the son of Ecuadorian parents who taught him from an early age the importance of moral values such as honesty and perseverance. These ideals eventually became the structure of his firm. 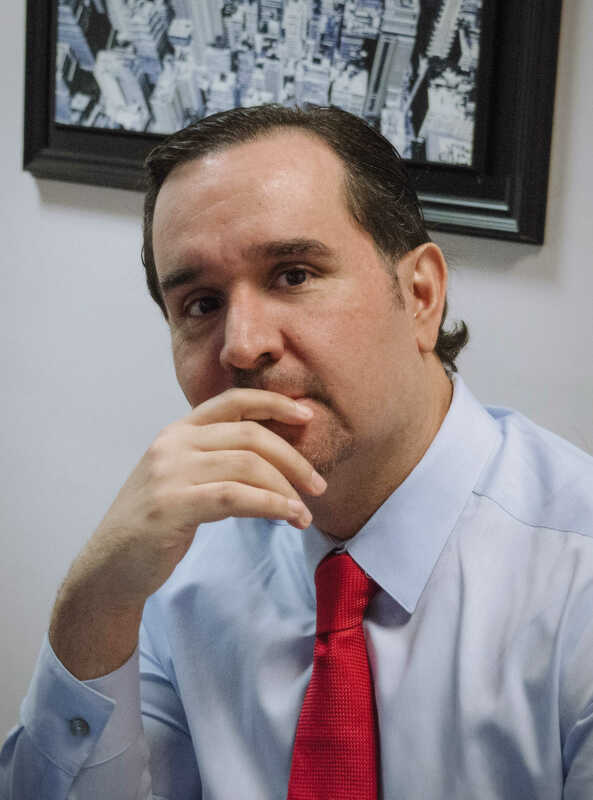 He began his studies in law at the Catholic University of Santiago of Guayaquil in Ecuador and then completed his education at Rutgers University School of Law in Newark, New Jersey. He also received his master’s degree in criminology from the State University of New York in Albany, New York. Before launching his own law firm, Attorney Romero worked at the prestigious law firm of Dewey & Leboeuf, where he worked for multinational clients. 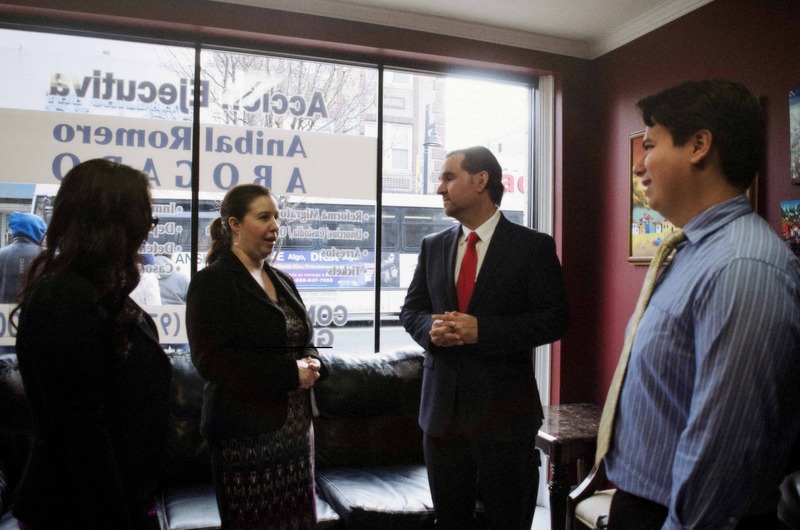 In 2009, he established the first office of The Romero Firm in Newark, New Jersey, with the objective of providing representation services to the community and helping them through the immigration process. Since then, his practice has extended adding new fields of expertise and reaching out to new geographical areas of the country. His passion continues to drive his efforts to support thousands of people with their legal needs. legal developments and current events of the law. Que linda nena, toca botones y escucha. Y baila con ritmo. QUE SIMPATIA IRRADIA. Que Bella ❤️❤️ bendiciones !!! Buenas abogado teng tps,y mi patron dice que averigue que el me ayuda. Está excelente la imagen y el sonido. Gracias Abogado por su buena información Dios lo siga bendiciendo Saludos. Do you need to resolve your immigration status or that of your family? Previous results do not guarantee similar results. The material published in the FAN PAGE of Attorney Romero are only for informational purposes and not for the purpose of and should not be based or taken as a legal opinion. The transmission of these pages does not constitute a relationship between attorney and client between you and Attorney Romero. Therefore, you should consult with a lawyer at the event who needs legal advice. Please do not send Attorney Romero any type of information via email that has not been requested which is considered confidential. This FAN PAGE is not an advertisement or solicitation of a service contract, and Attorney Romero does not intend to represent anyone through this page. Based on the Rules of Professional Conduct of the State of New York and / or New Jersey require that this page be identified as communication by or on behalf of the member of the State of New York and / or New Jersey that are identified. Unless mentioned, this FAN PAGE is owned by Attorney Romero.